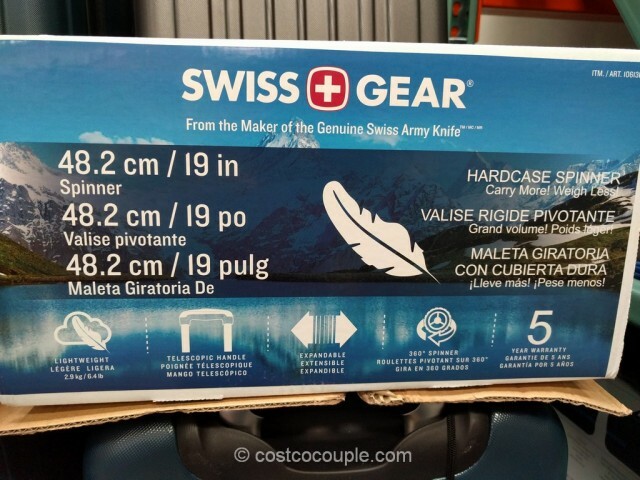 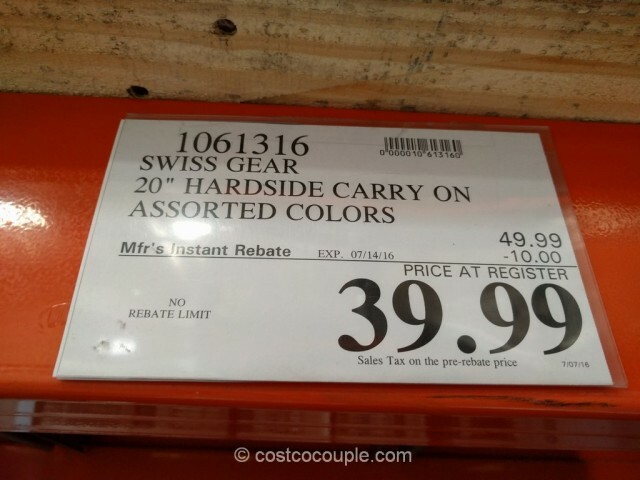 UPDATED 07/09/16: Spotted a $10 rebate for the Swiss Gear 20-Inch Hardside Spinner. 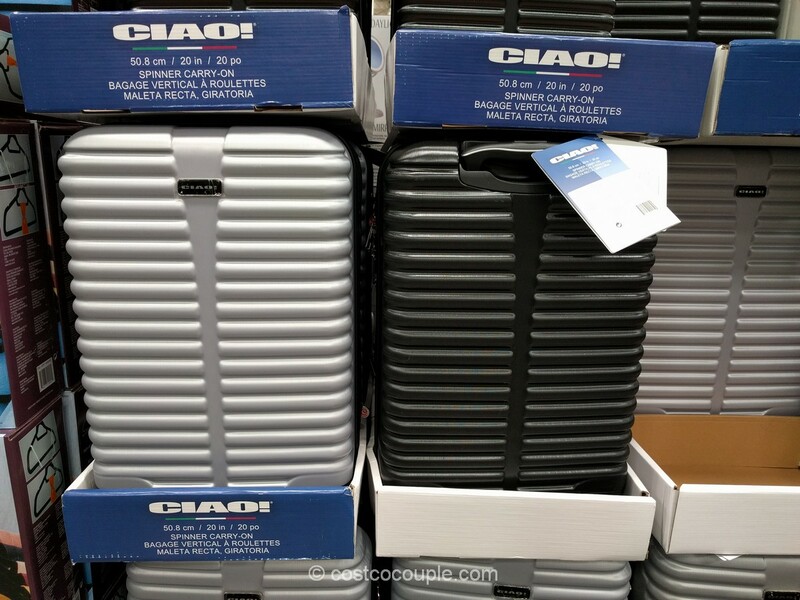 Price is $39.99 till 07/14/16. 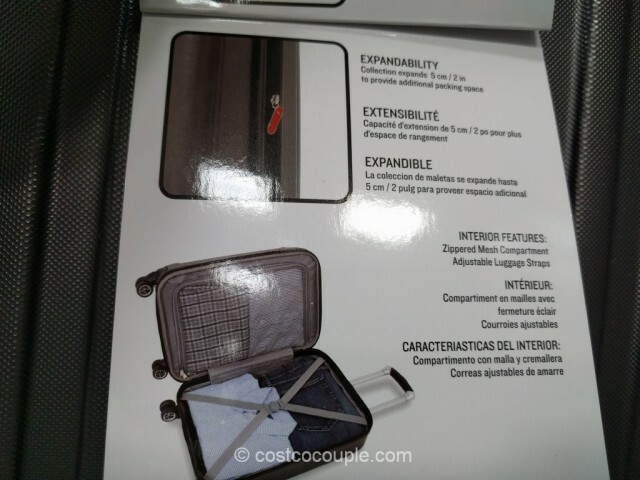 Great price for this carry-on! 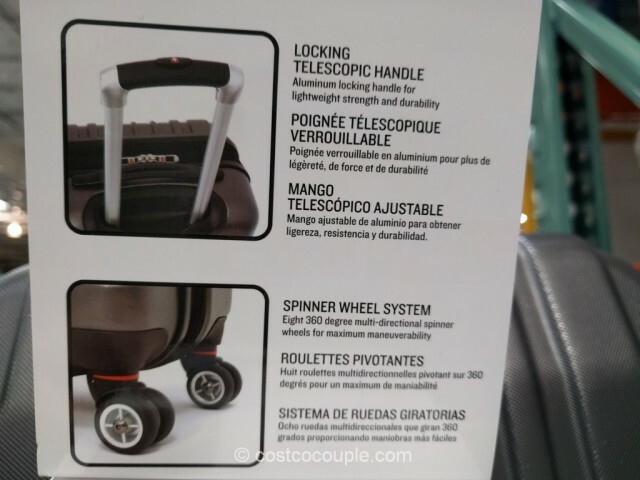 Item number 1061316. 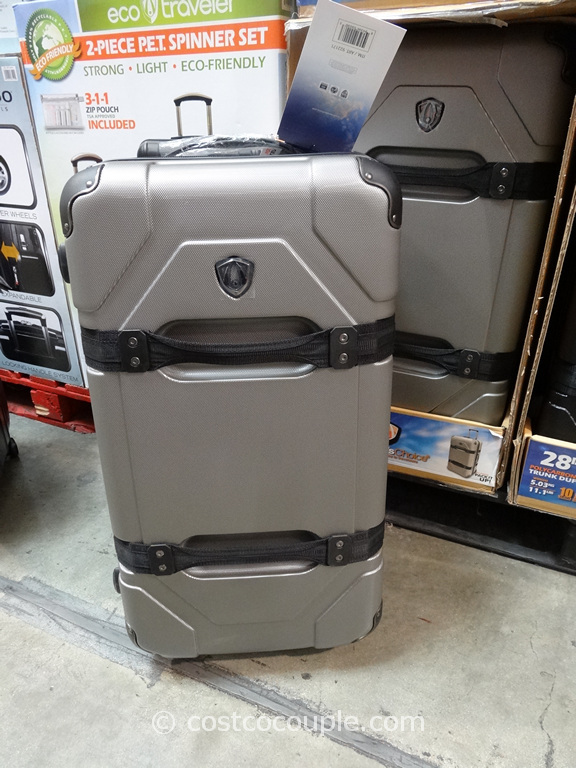 PUBLISHED 06/24/16: The Swiss Gear 20-Inch Hardside Spinner is a carry-on spinner that is lightweight and expandable. 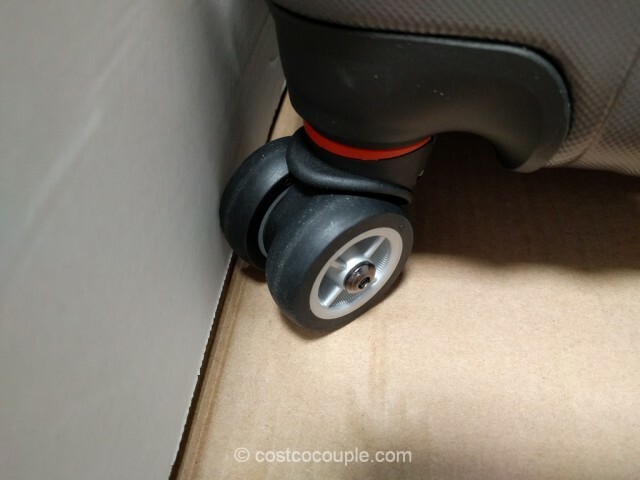 This luggage measures 21.5″ x 14″ x 9″ with wheels included which means that it is actually within most US airlines’ guidelines. 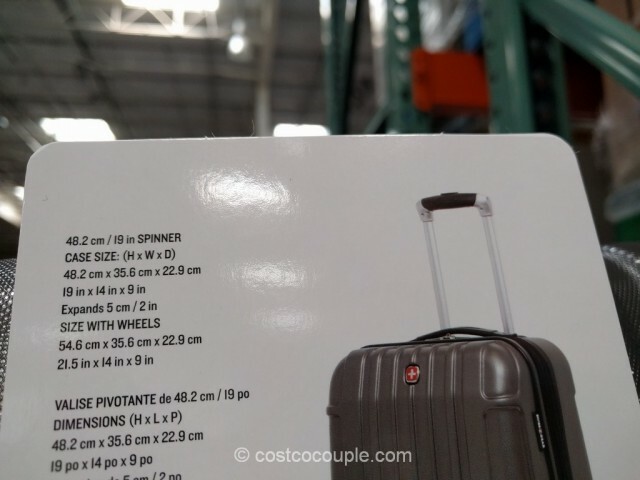 United’s maximum dimensions for a carry-on bag are 22″ x 14″ x 9″. 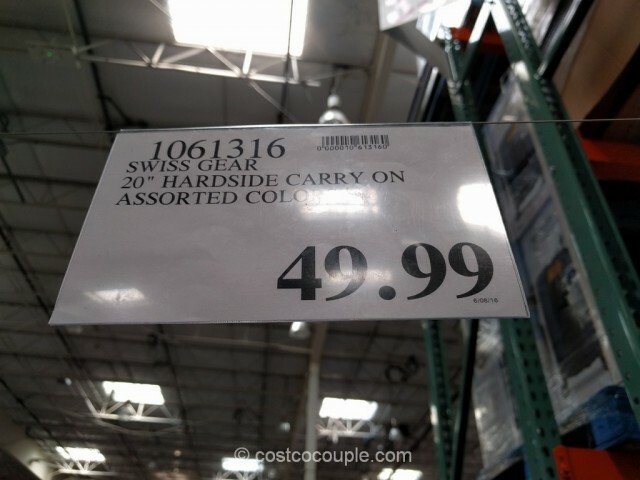 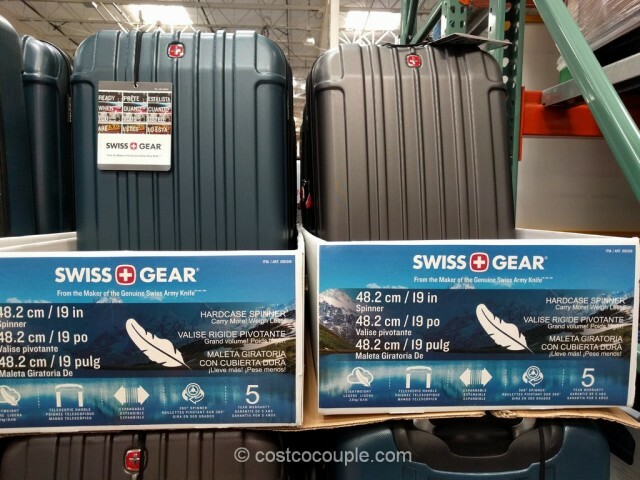 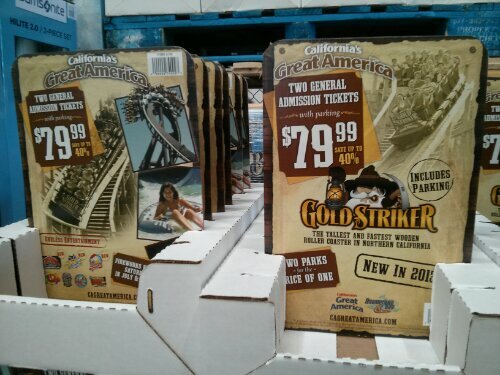 Most of the carry-ons offered at Costco previously actually exceeded the limits. 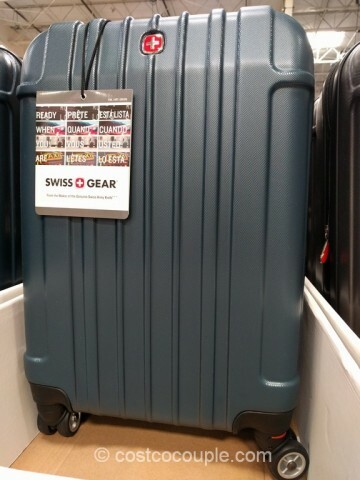 The Swiss Gear 20-Inch Hardside Spinner is priced at $49.99.